What is Folate? Also known as Folic Acid this is perhaps the most important of all the nutrients. It is also known as Vitamin B9. When you read about Folate, think: turning off bad genes and detoxify your body. So, you have the results of your MTHFR (a gene that processes Folate or Folic Acid) test in your hands, and you would like to know how much Methylfolate (the usable form of Folate or Folic Acid) to take. I wish there was a simple answer to this question, but the reality is that the answer is complex and based upon a number of factors that I will cover here. There are also a number of factors that need to be individually accounted for by your doctor based upon your unique genetic make-up and health. One simple answer is that the more MTHFR mutations you have, the more Methylfolate your body will require. With that said, it is always a good idea to find out how much Folate is already in your body. It is important to check your Folate levels every time you run a blood chemistry report, the same way that you check your Vitamin D or cholesterol levels. Folate is the most important nutrient your body needs for proper Methylation. You require Folate to detoxify your body from everything that you are exposed to in your daily lives. Methylation controls intra-cellular detoxification. You need Folate to regulate gene expression because Methylation is the process that can turn genes on and off. 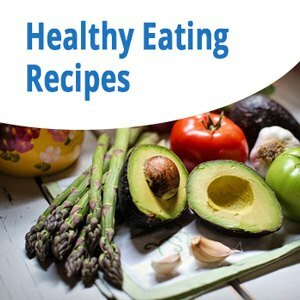 No matter how healthy you are, and how nutritious your diet is, I guarantee that in your family there is at least one of the four most common genetic diseases (heart disease, cancer, diabetes or mental illness). With a few exceptions, most diseases including most cancers are controlled by multiple genes, and its expression can be controlled by methylation. For example: If you have a double mutation on the MTHFR gene and you do not address it then you may be at risk for not having enough Folate to fuel the methylation engine. This can place you at a higher risk for having these disease genes to get expressed. So let’s say you ask your doctor to order Folate levels. The results come back and your doctor looks at you and says, “Your levels are normal. Despite this MTHFR mutation you have, your body is doing just fine and you don’t need to spend your money on any supplement.” If your doctor is not familiar with genetics and MTHFR he/she will likely misread the results. Despite your lab results showing “normal”, when accounting for an MTHFR mutation your lab results might in reality be below “normal”. Most laboratories test serum Folate, which is highly affected by diet. Just like when you fast before measuring cholesterol levels, always make sure to fast before measuring Folate levels or the results may not be accurate. I have yet to see someone with four mutations. I have spoken with different researchers and lab directors who agree with my theory that four mutations may not be compatible with life. If you have three or four mutations (between these two alleles; C677T and A1298C) do not panic, but bring this to your doctor’s attention immediately; and please send me an email as I am currently doing a study on the subject. Now that you have this data, let’s take a look at what the labs are likely going to show. Although I have not yet found a consensus of what a “functional level” or an “optimal level” should be, I believe that it should be higher than laboratory “normal” levels. So, how do you calculate Folate levels? For example: Your lab results may show the levels 12 and laboratory normal levels if higher than 5. Your doctor may say that 12 is way above the normal. However, if you have two mutations on MTHFR C677T then you may lose up to 70% of Folate. Your actual levels of usable Folates may be only 30% of what shows in your lab results. In this case that would be 3.6 which is below lab normal. To be on the safe side, always calculate your Folate levels based on your MTHFR mutation. This is one of the reasons why everyone, without exception, should get tested for MTHFR mutations. Otherwise, you will never know if your body has enough levels of Folate to support methylation. Considering that functional levels or optimal levels are higher than lab ranges, you need to discuss with your doctor what the ideal levels for you should be. My opinion based in part on World Health Organization recommendations is 14 to 59ng/ml. You may have noticed that I have left out dosage recommendations for Methylfolate based on each mutation. I have purposely left this out because there are several factors, including other gene mutations that can affect the individual’s ability to process Methylfolate. I have to leave the dosage to be determined by your doctor based on your uniqueness. A non-individualized approach is a major biological stressor. 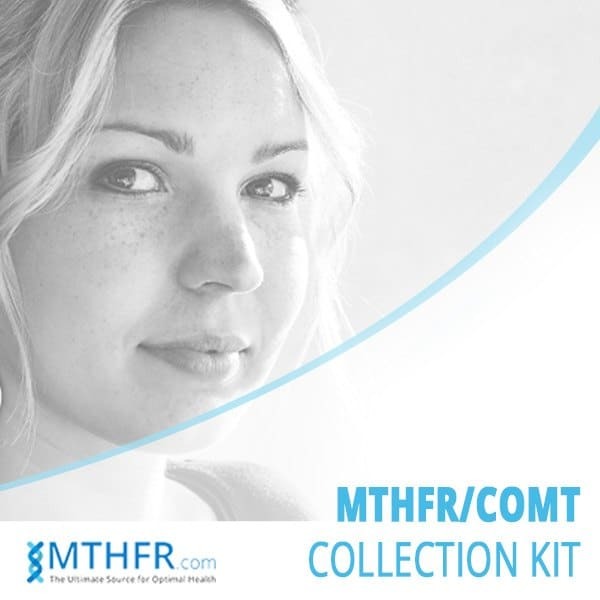 Oder a home test kit for MTHFR mutation. On a side note, in addition to Folate levels, I always request Vitamin B12, Vitamin D and Homocysteine to be measured. Feel free to list your lab levels, your MTHFR mutations and what you think is the correct interpretation in the comment section below. I will be happy to guide you. *For those seeking a more comprehensive analysis and coaching, Ricardo provides long distance consultations. You may contact his clinic directly at 310 914-1624.
recently done seminar with metagenics on methylation , reseach showed deficiency of folic acid was common in all cases of cardiovascular disease. thankyou for additional info. I recently received the below lab results back. I was concerned they were too high and was reassured they were fine. Since then I was diagnosed with 1 mutation on C677T and 1 mutation of A1298C. Is it possible my body just isn’t processing my folate/vit B properly? What additional tests could be recommended? Thank you. You have what is called a compound heterozygous mutation and you may lose up to 50% of your ability to metabolize folates. Unfortunately some labs don’t give the exact amount of folate/folic acid if they are above certain number, such as in this case. Your lab only states >20.0 ng/ml. We don’t know if it is 20.5 or 100. Since we don’t have the exact amounts of folate for you, the best thing to do is to ask your doctor to call the lab and see if they have the actual numbers for your folate results. Sometimes the lab has the numbers but they just don’t report it. If that is not possible then get retested using a lab that will give the exact amounts measured. Make sure to be fasting when giving blood. Your B12 levels are good. Another helpful test is homocysteine. Keep in mind that although your lab established “normal” levels >3.0 ng/ml, most labs I see place that number at >5.4 and I believe optimal levels should be equal or greater than 10ng/ml. You must discuss with your doctor what the ideal Folate levels should be for you taking in consideration your entire health history. I have one copy of C677T and two copies of A1298C. So does that mean I am losing 70% of folates? Thanks for sharing with us. The amount of folate one may lose if they have your mutations is unknown but it would likely be roughly 70%. Since I am doing a research on the subject and you have at least 3 mutations I would like to offer to look into your case and give my recommendations free of charges. I would like to see the results of your tests. Would you be kind to email any lab work you have done in the past year to wellness@acupuncture.cc? If you have any health concerns please list them for me and I will give you my professional opinion once I analyze your case. This offer is valid only through March 31, 2017. The simple answer is: Ignorance. It is easy to discredit what you don’t understand, especially if it challenges the conventional thinking. If you look in the “Researches” page on this website you will see that there are over 12 thousand researches on MTHFR from major universities in the US and abroad. 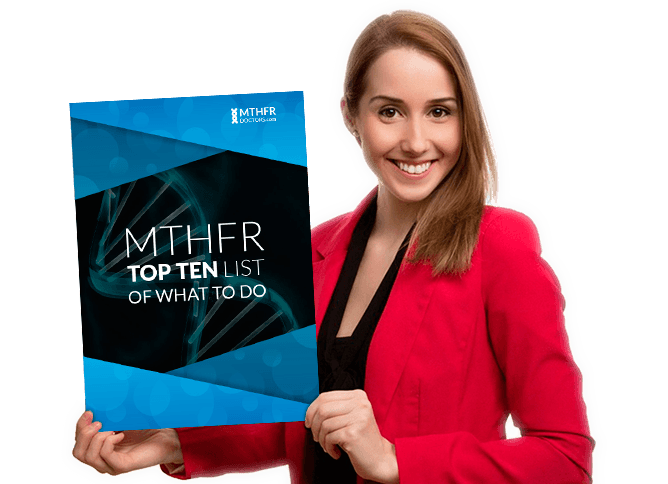 You will find that more and more medical doctors are endorsing the MTHFR factor within their field as they look closer to research. all made up, so people can waste there money on foolish supplements. I do not have a Dr. anywhere near that I can get to. Is it possible to do testing by mail or whatever. ??? Please call my office at 310 914-1624 and we can set you up with a test. Results of lab work done on 10/9/2015. “This patient has the normal or wild-type genotype for the MTHFR C677T (C/C) polymorphism and is heterozygous for MTHFR A1298C (A/C)”. Lab work done 10/28/2016 listed “RBC Folate (ng/mL) as >1619”. I had been taking Optimized Folate (L-Methylfolate), 1000 mcg. per day. Is that dose too high? What is the amount listed by the lab as “normal”? I need to see that to calculate yours. My 18 month old carries 2 copies of the gene. I am at a loss as to what to give him. I just found a dr thru this site I will take him to, but until then what? Since you already have found someone the appropriate thing to do is to call their office and ask what to do since they are the ones that will be coaching you on this journey. I just got tested for the mthfr gene. It came back that I have a1298c 2 copies. What does this mean and how muck should I be supplementing. My homosistine levels are on the low in of the normal range. my 16 year old daughter was tested with a saliva test and she has homozygous for the T allele of the C677T polymorphiam in the MTHFR gene. She suffers from depression and anxiety. she was taking in pure emcapsulation B complex plus with l5 mthf 800 mcg methylcbalamin 800 and a few more things in it. She stopped taking it for 2 days and had blood tests done. Her results are Folate serum 16.4 ng/ml standard 7.0-31.4 ng/ml. Vitamin B12 1269 pg/ml standard 213-816. Homodysteine 4 uMol/L stabdard 5-15 uMol/L. If her serum folate is 16.4 ng/ml and she is homozygous at position C677T, then she could possibly have only 4.92 mg/ml of usable folate. I consider optimal levels to be equal or greater than 10ng/ml. Her B12 levels are more than enough. On paper she could triple the amount of L-Methylfolate and stop the B12 (temporarily), however because of the depression/anxiety I recommend you do any changes under the guidance of a practitioner as there are multiple other factors that could play a role. There are also different approaches a practitioner could take, this is just one example. My last blood test was in June. I am homozygous for C677T. At the time of my lab we did not know my MTHFR status. I am currently taking Thrive Le-vel and Adren-all (for down regulation of my adrenals/adrenal fatigue 3rd stage), as well as Cytomel and Synthroid since I’ve had half my thyroid removed. I’m also quite anemic, despite a good diet. I’m concerned about the Thrive – It lists Folate (folic acid) on the vitamins. I started it because I had deficiencies and micro-malnutrition. Being homozygous for C677T you could be losing up to 70% of your serum folate. which means you might have only 5.13. I consider optimal levels to be equal or greater than 10ng/ml. Your B12 are also very low, I consider optimal levels to be at least 600. You are definitely very low. Your usable folate could be as low as 3. Your B12 should be at least 600. You need help on both. Regular dosage recommended on a case like this is usually methylfolate 2500mcg and methylcobalamin 1000mcg daily for 2 to 3 months and test your levels again. However I don’t know any other information on your health or other genes. Please have your practitioner guide you on this. If they need guidance they can always contact me. I really appreciate your site. Great info. I am a TT MTHFR which I think is the C677 double mutation? Eric, based on your MTHFR mutation you could be as low as 247. I need to see the normal range from your lab on folate, it looks as if they use a different measurement from most labs. Please reply and I will give you my thoughts on the folate. My gut feeling is 247 is probably way below that range. Your B12 levels are good. I’ve suffered from depression my entire life, was sent to an infertility clinic to get pregnant, suffered a miscarriage, didn’t get my period for YEARS, I have relentless toenail nail fungus (which I have tried everything from medicinal to natural to cure), heart attacks in late 40s&50s run rampant in my family, my father has dangerously high cholesterol despite looking like he belongs on the cover of men’s health, had a horrific reaction to the copper IUD and removed it myself when the doctor’s wouldn’t, my mother’s alcoholism has progressed to the point where she is in a LTC facility, and the list goes on. I can provide more information when I have it but ANYTHING you can advise would provide extreme relief. Here are you labs results . Looks like they are on with normal limits. You have quite a complex case that requires in-depth evaluation, however I will give you some points to consider to bring to a practitioner to help you. Optimize your methylation should be a priority. B12 levels are fine but we do not know if your folate levels are fine because we don’t know your MTHFR results. It is imperative you get tested. TSH is fine but your Free T4 is below optimum. We would need to see all the other thyroid markers to analyze. Thanks for this info… very useful! My B12 is 297 pmol/L (Healthy Range 200-700) – Note: I get hydroxy-cobalamin injections every 3 months so not sure what I’d be without supplementation – I think pretty low as I used to be deficient often times when younger. Not sure if relevant, but my TSH is 2.11mU/L (Healthy is 0.5-5). I have Hypothyroidism symptoms and an Autoimmune disease called scleroderma. Does this mean I’d be getting 60% of 13 nmol/L (ie. 7.8nmol/L) Folate? Is that ok or should I take a methyl-folate supplement? I am about to ask my Dr for a homocysteine test next week. You are right, you could be metabolizing only about 60% of your folate. 7.8 is below what I consider optimum, which is equal or greater than 10ng/ml. B12 optimal levels should be at least 600 and I like 800 better. Perhaps you should change the hydroxo-cobalamin for methyl-cobalamin but I don’t know your COMT situation. Methylfolate + B12 needed. Your TSH is good but if you still have hypothyroid symptoms you should get a full thyroid panel done (TSH, T3, T4, FT3, FT4, RT3, T3U, TBG, TPO and THYROGLOBULIN AB). In addition to homocysteine you should also get vitamin D levels tested. Thank you for your answer Ricardo, much appreciated. I should mention I am pretty sure I have the COMT and MAOA mutations as well. I have the symptoms and temperament I understand is common for that genetic profile. It runs in my family too. I have just started trying to conceive and wondering what exactly I should be supplementing with. I am currently just making sure I get heaps of natural folate in my diet. Based on your MTHFR status you could have only 7.2mol/L of usable folate. Although the lab reference is >6.0 I consider ideal range to be equal or greater than 10ng/ml. I recommend some methylfolate for you. Ideal B12 values are >600 you should have some extra B12 also. Your FT3 and FT4 are high, functional ranges are: FT3 = 0.05 – 0.06 pmol/L, FT4 = 12.9 – 19.3 pmol/L Therefore your TSH is extremely low. You must ask your doctor to test all thyroid markers (TSH, T3, T4, FT3, FT4, T3U, RT3, TBG, TPO andThyroglobulin AB). You should definitely replace folic acid by methylfolate. A more in-depth look into your case is awarded due to your thyroid numbers. I recommend you consult with a functional medicine specialist that understands MTHFR to guide you on your supplements. A safe recommendation is that you take CoQ10 with PQQ which has been shown to improve egg quality for fertility patients. Thanks so much for your advice! I will look into all of that – much appreciated ? hi! I am with a new Internist (because my Integrative physician just started requiring his patients have a primary care physician). I know I am homozygous for A1298c. I just got my blood work back and My b12 is 951 pg/mL and my folate is >20 ng/mL (not specified). I’ve been on the Neurobiologix Supplement called “Methylation Complete” for almost 2 years. I’ve also been on a high quality prenatal because I’ve been pregnant/nursing. Can you suggest if this is a good place to be? Unfortunately, my integrative physician can’t see me for a few months and I don’t think my Primary Care has any idea what she’s talking about! I look forward to hearing your opinion. Your numbers look good, just make sure your vitamins don’t contain folic acid, but methylfolate instead. Hello Dr. Miranda, – Based on may hours of research, my understanding is that heterozygous for MTHFR C677T/A1298C means that your methylation of folic acid to methylfolate is upwards of 70% impaired. People who supplement with folic acid and have the MTHFR impairment can have extremely high levels of serum folic acid, which can be dangerous. The lab our MD uses reports “folic acid” but on inquiry have told me that they are really measuring total serum folate, including methyl folate, folic acid and a few other lower level variants. Someone supplementing with 5-MTHF will not be affected by the methylation impairment, so the 70% adjustment cannot be applied to their lab result. For someone not supplementing with folic acid, methylfolate will be about 85-90% of total serum folate. There are 3 large cohort studies by CDC from the NHANES data giving info on folate status, the most recent being here https://www.ncbi.nlm.nih.gov/pmc/articles/PMC4804191/ . It shows a 95% of population range for total serum folate of 14 to 115 nmol/l or 6 to 51 ng/ml, (serum methylfolate is 11 to 100 nmol/l or 5.2 – 44 ng/ml) and says that the highest levels in the adult population are for non Hispanic white women over 70 years old with low BMI and using a folate supplement. Regrettably there is no breakout by MTHFR carriers, or health conditions. I am trying to find out if there is an upper limit for healthy subjects that is less than the 51 ng/ml . The 75th percentile is 25 ng/ml. My wife is non Hispanic white with low BMI who supplements and is compound heterozygous C677T/A1298C, and has total serum folate of 57 ng/ml (98th percentile for the total population). Is this too high, or nothing to worry about? Great comment. As you pointed out, the research mentioned does not show the percentages based on MTHFR mutations or health conditions which would likely affect the results. In fact there is one research https://www.ncbi.nlm.nih.gov/pmc/articles/PMC4811356/ which they have excluded MTHFR homozygous because of the change in results: “Where indicated, individuals homozygous for the C677T MTHFR allele were removed from the analysis because it is known that these individuals accumulate non-methyl folate forms”. To answer your question, although I have not to seen a maximum recommended amount of folate for adults I have found information for pregnant women. The World Health Organization has stablished that 13.5 and 45.3 nanomoles per liter is an adequate amount of folate for a woman in her first trimester of pregnancy, however I don’t think they factored in MTHFR mutations. Some researchers consider that more than 59 nanomoles per liter of folate to be an excess, again without factoring in MTHFR. They mention that a “very high amount of B12 may be potentially harmful” and “If both levels are extremely high (they do not quantify what would be extremely high), the risk that a child develops the disorder increases 17.6 times. https://www.jhsph.edu/news/news-releases/2016/too-much-folate-in-pregnant-women-increases-risk-for-autism-study-suggests.html However all of that must take into consideration MTHFR mutations. That is why I recommend using a lab that shows folate levels of any amount and not just the “>20″ often reported, which could be 21 or 100”. Like with everything in life, too much of a good thing could also be bad. It makes sense that a C677T homozygous or a compound heterozygous would yield different amounts of 5-methylTHF than a wild type, when numerous researches show upwards of 70% loss in folate metabolization. Further more, virtually all lab directors agree that a compound homozygous is not comparable with life, that’s why we have never seen one. The loss of 5-methylTHF is so great that a fetus cannot survive. I requested a folate test with my B-12 but it came back as folic? Not sure how to order the folate. I’m no doctor and doing this all on my own so any advice is greatly appreciated! Some labs report the results for folate as folic acid but it is essentially the same thing they are testing: all types of folate combined. I consider ideal levels of “usable” folate to be equal or greater than 10 ng/ml therefore you are in need of folate. Because you are homozygous I suggest you take methylfolate and not folic acid. B12 levels are fine. I strongly suggest you get some help from a trained physician to properly guide you on how much and for how long to take the supplements based on your entire medical history. I tried taking methylfolate and a more absorbable form of b12 for awhile, but as a stand alone the methylfolate made my brain fog worse.. I noticed that the b12 supplement helped with energy and gave me clearer thinking, without the methylfolate of course. I have a few issues that I've been fighting with for quite a few years… ADHD-PI, anxiety, depression, low energy. Thank you and I hope you have a good day ? I am not sure what you mean by “MTHFR 1572151”? I assume your results are for MTHFR A1298C and C677T, which would make you a compound heterozygous losing roughly 60% of the ability to metabolize folate. Provided your tests show 11.2 you could have only 4.48 of usable folate which is way below what I consider optimal: = or > 10ng/ml. Although your B12 levels are fine around 800 would be even better. Since you did not respond well to the methylfolate it would be a good idea you have your entire methylation panel looked at by an expert to determine why and coach you accordingly. Has there been any research to see if the mutations are linked to miscarriages or spina bifida? If you click on “Researches” on top of this website and do a search you will see plenty, precisely 120 for “miscarriage” and 113 for “spina bifida”. TSH	4.61 (mIU/L) I have only one thyroid, and do not believe the other functions at all. On medication. I am a breast cancer survivor 45 years old, stage 2, I have osteoporosis, with no obvious reason for it, have dealt with depression/anxiety on & off all my life. Now at 52, I am taking an antidepressant, but don’t want to. I am hoping this information I have learned about the MTHFR mutation can be treated and other symptoms will go away. Based on your information you have a heterozygous mutation on allele C677T which makes you lose roughly 30% of function. Despite this your folate levels are good. CMP and CNC lab “normal” doesn’t mean much. Labs determine “normal” levels for most markers by considering 90% of their population but 90% of the population is not really healthy so these ranges are usually very wide. 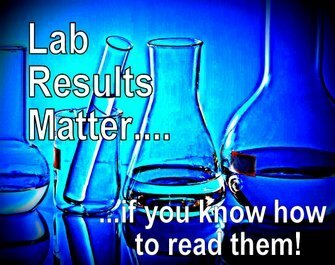 You must find a functional medicine practitioner to interpret your lab results based on optimal levels and not “normal”. Your Vitamin D is very low, optimal range is 60-80. You can use extra D and possibly Magnesium. If you are already taken plenty of Vit. D you probably need to optimize your gut through acupuncture and herbs to enhance absorption. Acupuncture should also help you with depression. The best way is to get a blood test for folate and vitamin B12. First thing in the morning fasting because folate is easily affected by food and do not take any folate or B12 supplements 2 days prior to blood test. Calculate your folate levels as per my article above to see how your levels are according to your MTHFR mutations. I consider optimum levels 10ng/ml or above. If your actual levels are above this and you still don’t feel well it is probably due to something else. while C677T was not detected. Folate and homocysteine levels are fine. B12 is low. I like to see B12 between 600 and 800pg/ml. TSH is below optimal (1.8) however FT4 is good. You should have the rest of the thyroid markers done. It is quite possible that issues are not from the MTHFR mutations since your folate levels are fine. You should have this looked at by a functional medicine practitioner. Thank you. I will ask my dr to run a full thyrpid panel. just got a few more tests back, if you wouldn’t mind looking at them in relation to the above post. Whole blood histamine 184 nmol/l, range 180-1800 nmol/l. That’s about 20 ng/ml, I believe. My dr had me try 5mg of fluoxetine/Prozac, which I’ve been off of for over a month. It made me worse, just as in the past, I get bad side effects from SSRIs, and was put on phenelzine as mentioned above. The patient is positive for one copy of the C677T variant and one copy of the A1298C variant. 1) Even if patient loses 60% of the folate due to mutation, would he not still be in normal range (21.7 – 60% = 8.6) without need for supplementation? 2) With B12 levels > 2000 pg/mL, is there any benefit from B12 (Methylcobalamin) supplementation (regardless of whether the current B12 leveles came from Methylcobalamin or not)? Other thoughts & interpretations much welcomed. I like to see folate levels 10 or above therefore I would give some methylfolate. B12 levels are already pretty high so I would not worry about supplementing it. Isn’t one of the reasons B12 may be higher than the normal range is because your body isn’t using it properly therefore a deficiency? Both my B12 and Folate levels are higher than the normal range. My doctor said it’s because my body isn’t able to absorb them properly and put me on Thorne Methyl Guard twice a day which equates to 2.4 mgs of methyl folate and 2.4 mgs of methyl b12. Since I feel no difference should I have further testing done to see if my dosage is accurate? I also suffer from fatigue and digestive issues. Hi, I am desperate for help. I live in Sweden and the doctors here have little to no knowledge about MTHFR. Some knows that it exists and might test for it but will then prescribe high doses of folic acid. The only methylfolate you can get are supplements and there are not many to choose from. Now we are about to start trying to concieve and I am all alone and feel a bit scared regarding MTHFR and my folate levels. I am compound heterozygous and I am taking 400mcg of methylfolate. I tried to double the dose but felt awful and had to go back to 400mcg. I am taking mecobalamine injections regularisering because if my ME/CFS. My folate levels are 15nmol/L (ref >7), Homocystein 5,7 (5-15) and my cobalamine >1100 (150-650). What shall I do? I can’t up the methylfolate, should I take folic acid (1mg) as well? Please, help me! You might want to eat more broccoli and spinach which are rich in folate. Here in the US we can find multivitamins that contain folate from vegetables and not folic acid or methylfolate, this is also an option to help you get more folate without making you feel bad. as well as others Vit+Minerals to complete. Just based on your SNPs and numbers above I think this regimen is fine without the Niacin, unless you have a specific reason to take it that I am unware off. Retest your folate levels in couple months to see if it is inside optimal levels. In this case MTHFR mutations appear to be minimal, and folate and B12 levels appear to reflect this, yet homocysteine levels remain elevated. Supplementing B12 and folate are typically recommended to lower Homocysteine. Should folate levels need supplementing beyond 24? Would raising B12 levels higher be useful? Based on the COMT status, should methyl forms of both B12 and folate be avoided? Your thought on this would be greatly appreciated! Thanks in advance. I really need to write an article on how to appropriately correct an elevated homocysteine problem as I see even functional medicine doctors make the mistake of just prescribe folate and B12. There are several reasons homocysteine can get elevated and one of them is MTHFR mutations. The others are CBS I278T / T833C, cardiovascular disease, chronic kidney disease or malfunction and thyroid imbalance. You need to identify which one of the above is the causative factor for your elevated homocysteine. You don’t need to supplement with folate at the moment. Your B12 could be higher but it is not necessary at the moment. Just wondering if there is any danger supplementing with iron for someone who is compound heterozygous for mthfr? I have not read any literature that indicates iron supplementation to be a danger for compound heterozygous MTHFR. Check your serum Iron levels and treat as usual. Hi, my boyfriend is really ill, probably inMCAS. He is homozygot on c677t and heterocygot in a1298c. So 3 of them, do you have any suggestions? He seem to tolerate a bit of adenosylcobalamin and methylfolate. He also have COMT and others that also is homozygotes. Would appreciate any input! Can you send me his genetic results that shows the three mutations? Please email to acu4health@hotmail.com. I would like to analyze that. Hi. I just got back results and it says I have one 677 mutation so losing about 30-40 percent folate. Do I just buy a folate supplement and start taking it or do I need to do addition tests ? Thank you in advance. I recommend you do a blood test to check your folate, B12, Vit. D and homocysteine levels. Draw the blood first thing in the morning before any food. Do not take any vitamins or supplements 2 days prior to the blood draw. Let me know the results. Should I be supplementing with methylfolate? I am taking 5000 B12 Methylcobalamin 2x a day, but should I add anything? I’m going to be seeing a functional doctor as soon as my insurance kicks in, but I’m pretty miserable and want to start feeling better before then. Being heterozygous for MTHFR C677T make you lose roughly 40% of your ability to metabolize folates. To be on the safe side you should factor this on your lab results which would place your folate levels at 4.4 which is way below what I consider optimal: >10. I would recommend supplementing with 5-L-Methylfolate about 2500mcg per day. Your B12 are also below what I consider optimal: >600 therefore your supplementation is adequate. I do not know other key factors on your health therefore these recommendations should be checked with a functional doctor that knows your medical history. My son is 10 years old Mthfr c677t , he is GFDF, I give him b12 I haven’t started methyfolate yet, we just run some tests on him , his vit b12 and folate are high b12 is 1533 , ( should range from 211-946) folate is >20 ( should be >3) , can it be ? How come he has c 677t and folate b12 are high ? I though he should be low in folate and b12. Another question , his Cholesterol is high and hemoglobin a1c 5.4 ( 5.7 considered prediabetes ) , MCV , MCH are low , does this related to his Mthfr c677t? Does Mthfr is causing all these problems? You need to get tested by a lab that shows exactly levels of folate when they are above 20 because it could be 21 or 100 and we do not know where he is. There are other factors that will influence folate levels in the body therefore even with a MTHFR C677T mutation his folate could be high and a blood test is always recommended. You really need to have his case evaluated thoroughly by a functional medicine practitioner. Although is likely that his MTHFR mutation is a factor in his health it is likely not the only factor and you need to look at all factors to properly help him. I am homogygeous c677t. I have been reading that i should not be taking ANY folic acid. My multivitamin has folic acid in it. I have asked my doctor about it and she keeps telling me that she has not found any reliable sources that indicate I should not take folic acid. She warned me about reading information found on the internet. Not sure what I should do. She seemed to be fairly familiar with MTHFR. Any advise would be appreciated!! With the results in hand you must calculate the folate levels in order to give the right dosage of methylfolate considering also the results of COMT. Chances are you have to work on her gut too. Genetic testing. It was brought to my attention that I am homozygous mthfr t667t and homozygous TCN2 gene, and comt v158m – – It was recommended that I take Deplin along with my antidepressant medication. I ran out of the Deplin and did it Refill it because of the cost. She recommended vitamin b12 injections. Optimal levels of Vit. D are 60 – 80 so it looks like you need more Vit. D.
Optimal levels of B12 are around 800 and that’s why she recommended it for you. Ask her to inquire with the supplier of what kind of cobalamin is the B12. Cyanocobalamin, Hydroxocobalamin or Adenosylcobalamin are best for you since you are homozygous for COMT V158M. Another issue that you may have is reduced ability to transport B12 into the cells because your TCN2 homozygous. I would like to see your B12 levels between 800 and 1,000. You should get tested for folate at a different lab because your results only show >24, and you just don’t know if it is 25 or 100. That would determine if you need to supplement with methylfolate. If she doesn’t know anything about MTHFR I strongly recommend you consult with a practitioner that specializes in MTHFR. I have the marker rs1801131(A;C) on promethease. I believe this means I have one mutation, but I’m not 100% sure if that’s correct. Do you need more info? My folate level was 16.0 a few days ago, but I was not fasting and had taken 800mcg of folinic acid on the day of the test and once the day before (so only 2 days total). Unfortunately, I didn’t find your site until after the test so I can’t realistically go back and get fasting levels. Thanks! According to your information you have a heterozygous mutation on MTHFR A1298C which makes you lose roughly 20% of metabolization of folate. I have homozygotus mutation on mthfr T/t c677t. After four-months supplementation with folate 800mcg, b12 and other supplements that support absorption, all my parameters improved (in fact, homocysteine ​​is at level 6 from the previous 12), however, the level of folic acid in the blood remains too high (31ng / ml). I have done this test in November – currently im 5 weeks pregnant. Should I be worry? Is it possible that the blood test shows both folate and folic acid? I had previously measured folic acid levels in blood in August and the result was lower – 29 ng / ml (When I did not know about mutation I took normal folic Acid for over a test). Thanks ! 31ng/ml may not be that high considering your homozygous MTHFR mutation on C677T because you may loose up to 70% of metabolization of folate, in fact I would try to keep the levels around that number. Blood test shows all types of folate including folic acid. Nothing to worry about. These numbers are without any kind of supplementation in place. My doctor has prescribed a fairly high dose of methylfolate, but I don’t think that is warranted at this time, correct? Being homozygous for C677T your levels are about right. I would scale down the methylfoate to about 800mcg and retest your folate levels in three months. B12 levels are OK but if you want them a little higher that is fine too. First, thank you for having an easy to understand site. I have found yours the most helpful. I was taking B12 supplements at the time of the last test and from what I understand, you must abstain from supplements for 4 months before testing in order for tests to be accurate. Is it correct, that if I am supplementing, my levels should be upwards of 1000? I am not taking the right forms of B vitamins and my multi has folic acid, I will correct this, but in the meantime, should I be requesting that my doctor test my Homocysteine? After a year of strict gluten free I still feel horrendous (many of the symptoms can be attributed to Celiac and/or B deficiencies), but in all fairness it took 20+ years to get diagnosed so healing might be slow. You don’t need to stop taking supplements 4 months prior to blood test, I believe a few days should be enough. Test for homocysteine is helpful if you have never done that but not crucial in correcting your folate levels, in any way I do recommend to include homocysteine along with Vitamin D when you re-test your folate and B12. You are right that your B12 should have been much higher. Consider acupuncture and Chinese herbs to fix gut absorption as well. You may have a problem with it. I recommend your serum folate levels to be >= 17 because of your mutation and your B12 to be >= 800. It should be a good starting dose, however I recommend you get his folate levels tested by a different lab that shows exactly how much folate he has. The results of >20 could mean 20.1 or 40 and we don’t really know if he needs to supplement or not. I recommend giving him more vitamin D to get his levels above 60. I just recently received my results after some blood work and I’m very confused about my B12 and Folate levels as they seem pretty high. Does that mean I’m taking too much methylfolate and methyl b12 supplements? Ever since I changed my diet to avoid folic acid and taking the “right” supplements, I have not been able to get pregnant after having 3 miscarriages. I take a bunch of other supplements but not sure if i’m Missing anything. I take Thorne Stress B Complex (not every day though), CoQ10, fish oil, vitamin D3, and was taking baby aspirin but recently stopped. My homocysteine is 5.2 umol/L. From your numbers I think you can safely stop taking everything except CoQ10, fish oil and vitamin D (unless your vitamin D is above 60) for about a month and retest. I also need to know your MTHFR status in order to calculate your actual levels of folate. 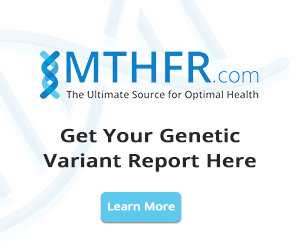 Have you tested for MTHFR mutation? Hello to you, my b12 is 1286 (213-816) and folate 15.1 (7.0-31.4) My TSH 1.27 (0.35-4.94) FT4 1.1 (0.7-1.5) T3uptake 30 (24-35) TPO <3 (0-6) thyroglobulin 4 (0-5) I also have the mthfr gene. Don't know if this will help but am including these. I also have thyroid nodules all over and an elongated thyroid. Thanks for any input you can give. B12 levels are fine but folate is low for your MTHFR mutation. You need some methylfolate. Thanks for your reply. I know all this is time-consuming. I am homo for MTHFR A1298C. My last test for folate serum was at 14 which from what you say may actually be functioning lower–around 8 because of the mutation. I am also homo for VDR Bsm, and my vitamin D was at 25. I see you recommend testing for D so I assume a connection. Does low D also affect functioning folate? I’ve tried a fairly low dose of L5 MTHF on four different occasions (100mcg) along with the b vitamins that are in the same supplement. I always start out a little dizzy, then that goes away after an hour, and I have a lot more energy than usual for the rest of the day. Also slept well those nights. That’s encouraging, but I’m so afraid to take it. Does it sound to you like I’m on the right track, or are there other things I need to take into consideration before taking L5 MTHF regularly? Some real horror stories out there. Vitamin D is not directly related to folate function but it does so indirectly and is also vital for so many other functions. Optimal levels are 60-80. You do not need methylfolate or B12 supplementation at the moment, however a good look at your entire biochemistry labs are necessary to put the pieces together. Your vitamin D is almost at the optimal level (60), I recommend a little more supplementation. You need a full assessment to determine what is going on. I am located in Canberra Australia and found out a few months ago I have the homozygous C677T mutation. I got tested because I had two miscarriages before conceiving the baby I am currently carrying and wanted to see if this could be the cause. Now i am scared that I am not doing everything right for this baby that is now 19 weeks and i cant find a single practitioner in Canberra. I had been taking folic acid supplement (very high – 800mcg!) before finding out I had the mutation. I switched to Seeking Health and then Thorne prenatal (with active folate) when the baby was around 10 weeks along (so had already passed the crucial period). However I have been eating very well – lots of folate rich foods – for the last six months or so. Is there anything I need to be doing to help protect this baby? My folate seems ok? I have been taking the active folate supplements for the last 10 weeks or so but my doctor doesnt approve because they contain vitamin A and would like me to stop them. Should I? Should I be doing something to get my B12 up? Also, from my reading online, all pregnant mothers with my mutation are on blood thinners but my doctor will not let me take them. I am afraid my mutation means I should be on blood thinners too but i’m also reluctant to go against my doctor’s advice. Any advice would be so greatly appreciated! Your folate is fine, but your B12 is low and your homocysteine is below optimal which could indicate over-methylation. I recommend taking B12 by itself instead of the vitamins that contain the A since your doctor doesn’t want you to take vitamin A. Try to bring your B12 to about 600. As for blood thinners I also advise you to follow your doctor’s recommendation as they know your entire health condition. I forgot to add, I am also homozygous COMT V158M and also for COMT H62H. Your levels are quite high, I would recommend giving a break on the supplementation for about 3 months and test your levels again. My Dr. put me on Xymogen’s B Activ, 2 capsules a day while we continued and tested for folate and homocysteine. I retested the vitamins with my comprehensive panel in January 2018, and I'll just mention my B12, D. In fact I'll also mention my TSH, because I notice some others mentioned it. Now, I noticed that you said I'm probably absorbing 70% of my folate, that would put me at 211.8 ng/mL, which is less than the 280 that's the normal range. My doctor said it's fine, but this has me curious. I'm interested to hear what you think about my results and if there's further testing that you think I should do. I should mention that my husband and I are thinking of a pregnancy soon, so I am curious what kind of prenatal vitamins I should be taking so that I'm getting activated methyl folate and not folic acid. Thank you so much for your time, I'm so interested in this it's a total rabbit hole for me! My recommendation is to supplement with methylfolate to double your levels based on your mutation and the fact you want to get pregnant. I would also get your husband tested and make sure he also has the right amounts of folate and B12. I also recommend getting your B12 to 800-1000. Get some Vit. D as well to get it to 60. I had my newborn tested and he is HOMO for 677. I want his pediatrician to test his levels as you’ve mapped out. What are the ideal levels for children under 2? If pediatrician is reluctant to test, do you recommend a type of practitioner we should seek out when dealing with pediatric patient? Are you supportive of supplementing for a baby as young as 3 months (breastfed baby). Lastly, what’s your POV on vaccinations for a baby with HOMO 677? I have to research the ideal levels for newborns. I will post it here once I get that answer. The best thing you can feed a baby is breast milk. Vaccinations, as long as they have no mercury, etc. have more pros than cons as they will protect your baby from common diseases. I will get back to you on all the questions once I have completed my research. The best way to supplement your baby is to take supplements yourself while you breastfeed as the baby gets the nutrients from you. My advice pertains only to your mutations and the shared lab values. In order to correct your headaches, body fatigue/pain and anxiety you will need an in-depth analysis and treatment plan. Accounting for your mutations your folate levels could very well be below what I consider optimal (10). anywhere between 1000mcg to 2000mcg of methylfolate for a few months but you may need to increase slowly because of your COMT. I also recommend 5000IU of Vitamin D daily for about 3 months. to get your levels above 60ml. Curious if you are still doing the study on the genetic mutations, I have both. Just happened upon your site and very happy to have found it. Thanks! I am constantly studying and researching this and other genes. How many mutations do you have? My wife and I are planning a second child. She has the MTHFR C677T heterozygous mutation. In early October 2017, she did a blood test and it was found her folic acid was very low at 9.35 nmol/l. She started supplementing with very potent 5,000 mcg pills of L-methylfolate, one per day. On 17th February 2018 her folic acid levels were off the charts, a laboratory wrote: >45.4 nmol/l. I assume their test doesn’t even include the possibility of levels this high. She stopped supplementing immediately, and on 24th March (so that’s 35 days later) she tested her folic acid level again in another lab. Results are still off the charts: >54.2 nmol/l. We are completely confused. I tried to make sense of this and found your website. Any advice is appreciated. She is not taking folic acid now. Should she avoid any folic supplements until her levels go down? According to her lab results she doesn’t need any folate supplementation for the time being, however that might change, so I recommend testing every 3 months without supplementation. She should start adding some when her levels drop to 20, but at that time consult with an MTHFR expert to coach her on the dosage. She should start with a much lower dose than 5000. Is having a mma serum and mma urine test the best way to test if you have the mthfr mutation? I am heterogeneous c667t one variant. My folate was >20 and b12 1241, urine mma 0.5 , serum mma 58. I have been taking multivitamins but not methylated ones because I just found out about this mutation. I’m afraid the vitamins are giving false readings because I have a lot of symptoms of b12 or folate deficiencies. Thoughts? It seams you already know you have a mutation. Whenever you go for blood test to measure your folate levels you should stop taking any supplements for 3 days and draw the blood after 8 hours of fast. I meant for that to say is testing the urine and serum mma the best way to get an accurate for sure reading on your b12 levels if you have mthfr. I have heard things about too much folate and cancer. I take 2 mg methylfolate. I have 2 genes of the C677 mutation. How do I know its not too much? My homocysteine is 8 on the supplement. I am concerned they say overmethylation and cancer?? You need to measure your levels of serum folate. For your mutation you want to see your serum folate between 30 and 40. I’m confused because my lab tests said greater than 1459 or something, it wasn’t a low number. Am I supposed to convert this? The measurement I was referring to is ng/ml. Sometimes labs use a different method and I have to figure out. What is their reference range? This site has been immensely valuable in trying to solve the myriad of mystery health issues. I recently took a 23&Me test about two months ago and it revealed a chart with a bunch of fun colors on it. These were the ones highlighted yellow and red. Based on what the report showed I have a compound MTHFR, so I ordered a supplement online by the name of BPLEX PRO, which is a Vitamin B complex with 1.5 mg Methlyfolate and 3 mg of B12, along with a bunch of other B vitamins. I had my doctor order some blood work earlier this week and I was not sure if I am taking enough of the supplement or if my body needs to build up its’ levels. Other than that, I am a 30 yr old male with the occasional crippling brain fog and very low testosterone that has been below 200 since my early 20’s. Do these mutations typically coincide with lower testosterone levels? Below are my genetic and blood tests. Thank you again for all that you have shared and provided for the lost mutants of us. I have not seen strong correlation between MTHFR and low testosterone. I believe you need to have a comprehensive look at your health to determine why. Your folate levels are OK for your mutation, for the time being. Recheck every 3 months and make sure it doesn’t fall below 17. Your Vit. D should be above 60 so take some more. When testing for folate levels stop all supplements for 3 days prior to blood draw and fast for 8 hours. After reading online that too high levels of b12 and folate can cause anxiety which i suffer from i decided to get mine checked. im wondering should i still continue to take these supplements and could the supplements cause anxiety to worsen at these levels? Any advise would be massively appreciated! Thank you very much for your time. I am sure you are helping many peole so much! Your folate levels could use a little help. I don’t think the folate is causing your anxiety based on your genes, however with so much going on in your health I would need to do a complete evaluation to be comfortable giving you more recommendations. If its relevant i should also add my iron levels have been below the clinical range however i am not taking supplements as they cause me too much stomach pain. I have too little information to give you an intelligent opinion here. Also wanted to add that I am COMT V158M, H62H, VDR Taq Hemozygous. I tested on the low end for Ferritin 10 (normal 8 – 252). My thyroid levels are all within normal limits except I am 77 on Antibodies being anything >9 is abnormal). All levels look good except Ferritin and thyroid antibodies. Ask your doctor for a plan with regards to ferritin and do some acupuncture to keep your thyroid in check. You may definitely start supplement with methylfolate. Your are likely undermethylating. I do long distance consultations and coaching. The best is for you to contact my office at 310 914-1624 to arrange for one and I will be glad to give you the proper comprehensive analysis and coaching. I just recently found out I am homozygous for the MTHFR C677T variant. The MTHFR A1298C variant was not identified. My doctor recommended Deplin, but after reading a bit from Dr. Ben Lynch, I’m hesitant to jump straight into that. Any advice or guidance would be greatly appreciated. You should get a serum folate test done before jumping into Deplin. Make sure you do not take any supplement 3 days and fast for 8 hours prior to blood draw. hi, my 11 y o son has compound heterozygous mutations ( MTHFR_677& MTRR_66& MTR_2756) Homocysteine level is 16. Dr gave him folic acid, i have read that folic acid is a mistake in my son case. You should replace folic acid for methylfolate. Thank you for your reply, may i ask about the suitable kind and dose of methylfolate, he is 11 years and 5 monthes with 40 kg weight . It is hard to pinpoint the root of your problems but as far as your folate and MTHFR mutations you may even double your methylfolate intake. I have just found out that have one C677T heterozygous mutation and one A1298C heterozygous mutation. Even though my labs appear within Normal range, I was wondering if you could interpret them for me, and advise me on which vitamins to take ( if any) and the dosage. Based on your mutations, your folate levels could be as low as 7.4 and I like it above 10. I like B12 at about 800 and D above 60. If you are perfectly healthy and just want to get your levels at optimum you could probable take (methylfolate 2,500mcg, methylcobalamin 1,000mcg and Vit. D3 5,000 IU) per day for about 3 months and recheck your levels. I just receive the results of B12 and folic acid of my 11 y.o son, who has high homocystin level (16 umol/l ) as i told you before, folic acid ( 6.8 ng/ml ) and Vitamin B12 ( 350 pg/ml ) .He has compound heterozygous mutations ( MTHFR 677, MTRR 66, MTR 2756 ) . you may kindly advice me. He definitely needs to take methylfolate and methylcobalamin. Because he is a child I would want to have a good look at his file before giving you recommendations on dosages etc. I suggest you call a practitioner you trust to guide you through this. If you don’t have one I would be glad to take him on, in which case you may call my office at 310 914-1624 to make arrangements. Hi Dr. Miranda…I am positive for one copy of the C677T variant and one copy of the A1298C variant…compound heterozygous….homocysteine was at 13.1 UMOL/L (range <10.4) on 2/6/18; then on 3/29/18 homocysteine 18.9 UMOL/L (range 4.7-12.6)…different lab….serum folate on 3/29/18 was 13.9ng/mL (range 2.8-20.0); methylalonic adic on 3/29/18 was 0.18 UMOL/L (range 0.0-0.40); also folic acid RBC was 407 ng/mL (range 281-999999); copper 124 ug/dL (range 80-155). ; serum zince was 88 ug/dL (range 60-120)…I have tried methylfolate and it has caused me more anxiety and shakiness; tried nonmethyl B12 liquid one drop with water and felt like I was going crazy; then tried methyl B 12 liquid one drop in water and got more pain in back and neck, nervous, and wanted to sleep…I don't know what to do anymore…The ND I saw doesn't know either…My body is rejecting everything….I can't even tolerate small doses of probiotics….have tried 4 different kinds….I get more anxiety, cry…. Your homocysteine is much higher than the functional range of 5 to 9. Your folate levels considering the compound heterozygous status could be as low as 5.7 which is below the functional range of 10. I am wondering what is your COMT status. That could be a possible cause of you reacting to the methylated B9 and 12. If you would like me to take over your case please call my office at 310 914-1624 and I would be glad to take a deeper look into everything to give you proper guidance. I was surprised as I was expecting high homo, not low! So I’m overmethylating, but I’m weary of stopping/reducing methylfolate as it’s only 1400mcg and I’m homozygous! Also, if I metabolize only 70% does that mean I should up my intake so I get a reading around 4000, or is my number ok because the majority of that sample is methylfolate and therefore get plenty? It’s tough to find infos on low homocysteine and got from Dr. Ben Lynch that those with low homo should supplement liposomal gluthatione. I already take NAC (N-acethyl-cysteine) once a week so I will start taking daily. What’s your take on my situation? Thank you very much! You should continue with your methylfolate intake as folate levels fluctuate on a daily basis. Let me point out that your lab results is for RBC Folate and not Serum Folate. I would like to see serum folate levels. Because you are looking to conceive, I strongly recommend you have a health care practitioner take a look at your entire blood chemistry and health history and guide you throughout the entire process. There are lots of pieces that need to be looked at and since your homocysteine is below optimal we can’t leave any stone unturned and make sure you have the best outcome for you and the baby. I’ve had 2 miscarriages and a still born at 7 1/2 months and 1 full term child. All due to taking prenatal vitamins with mthfr mutations compound homozygous I believe mine is. And had I not taken prenatal vitamins with fic acid may have hadless complications is what my prior hematologist stated but she moved to another state so nobody else in Omaha, NE is educated in mine and are all at a loss how to help me right now. I think all of this looks MUCH better than my previous results, and it looks like supplementing a little extra b12 and glutathione really paid off in raising my homocysteine level a good 2.1 points! Considering I’m homozygous MTHFR 667T if I cut down my serum folate by 70% it brings me to just around the normal range, so do you think it’s enough or should I up my dosage a little more? I currently take 1400mg per day. Thank you Dr! Did not do the mutation test yet. You really need to get tested. Your B12 is below optimal and your homocysteine is a little high. There is a very good chance you have a mutation, we just don’t know how bad. Without knowing your MTHFR we can’t tell about your folate levels. You should go to https://www.mthfrdoctors.com/product/mthfr-gene-cheek-swab-test/ and order your test. Too little information. First thing you need to do is to get tested for MTHFR mutation, then calculate your real levels of folate. Thank you so much for your commitment to this thread. 38 146lbs 5’10 female no children, and I suffer from digestive issues, depression, acne, fatigue, migraines, memory loss and inability to recall and low lobido. Supplements include krill oil, turmeric, activated vit c and trace minerals. Should I expect to be only processing 50% of folate with 2 copies? If so, should I attempt to raise it with methyl folate? How do we know for sure if our bodies are only processing at a half rate? B12 seems to be at the lower end of the acceptable spectrum? I am unsure of Homocy levels. Any other tests to recommend? You could lose up to 60% of folate being compound heterozygous. Methylfolate is definitely recommended along with methylcobalamin. We don’t know for sure if our bodies are only processing at half rate. I prefer to plan for worst case scenario and be on the safe side. To address only folate levels you supplement for about 3 months and tested again. Stop all supplements 3 days prior to blood draw and fast for at least 8 hours before blood draw. To address all your complaints you need to have an MTHFR expert to look into all your history, complete lab tests, etc. Hi, newly DX. Homozygous for the T allele of the C677T. Additional testing was done. Should I be supplementing or not? Folate was high. Dealing with severe anxiety and depression for years. Plus DX with mitochondrial issuein 2016. Will reply on the comment below. Sorry left out my folate test! Also how important is fasting for the folate and homocysteine labs. I checked before I went and lab said I didn’t need to be fasting, so I wasn’t when these tests were done. You need to be fasting for serum Folate test. Your results may or may not be accurate. I also recommend be off all vitamins for 3 days before blood draw. Regardless your folate is low if you factor in your homozygous mutation. In your assessment, do you think I am undermethylated? Would methyfolate and/or methyl b12 be helpful? I’ve also read that SAMe is better for some people. The best measure for methylation is folate. I recommend you order serum folate, B12 and vit. D tests (be fasting and refrain from taking supplements for 3 days prior to blood draw). SAMe is not indicated based only on your SNPs however your medical history and symptoms would play a role as well. Please I beg for your help. Everyone here is uneducated. I’ve the most complicated mthfr (had a PE in each lung that caused testing) and am not well lately. Did a physical and all cholesterols and triglycerides and thyroid are sky high (doc says walking heart attack waiting to happen) but they are trying to give me a synthroid my body is reacting to (not in a good way either) and he says reactions aren’t normal but keep taking it. I have refused because it felt just like a prior med that almost killed me with a reaction to Avelox. I’ve my labs and mthfr reports from hematology with homocystine levels etc etc. These docs are so uneducated here I can’t find a specialist and all hematologist are lost with my mthfr mutations. I’m also in severe menopause yet I believe it’s my petuitary gland causing such severe sweats every 5 min 24/7 where I literally drench in sweat but can feel it activate in the back of my brain about 2 seconds before the hot flash activates and doctor says it’s impossible. My health is declining FAST and I’m on 45. I was 3 years ago in excellent health…now not so much. Thank you for your time. God Bless. I am so sorry to hear about your suffering. It looks like you have a complicated situation and to give you suggestions without properly analysis of your case is not a good idea. I would have to analyze all your lab tests thoroughly in order to give you a good advice. I recommend you call my office at 310 914-1624 and schedule a proper consultation. I don’t take anything with either folate or folic acid nor b12. I am working on digestion and I have been able to digest more greens which is great. How is it possible that I can go from high MMA to normal and I have not been taking B12 for 8 months with my MTHFR mutations? Did I build up enough stores? Should I continue supplementing with B12? And how is it possible I am still normal when my serum B12 continues to drop? Same questions for the Homocysteine. It dropped from 8.9 to 6.3 and I feel sure that when I get retested for folate it will NOT be anhywhere near 10 because I eat a big pile of greens now for breakfast. I may contact you for more thourough guidance because I do have some compounding SNPS but thank you so much taking your time to do this…it is beyond appreciated. Your homocysteine will not give you a meaningful number because of your MTHFR/CBS. MTHFR will elevate homocysteine and CBS will lower it. Your folate looks low if you take into account your MTHFR mutations. There are just too many other factors involved and you really need someone to take a thorough look in your case to give you the right guidance. I have homozygous mutation on MTHFR 677 and no mutation on MTHFR 1298. I don’t supplement with any folic acid and don’t eat any food that contains folic acid. I’m currently taking a daily multivitamin that contains 400mcg of methylfolate and some methylcobalamin. Given that folic acid is not being consumed, should I assume that my serum folate is solely made up of the methylfolate that I supplement and the folate that I take in from food? And therefore is it likely that my usable folate is far greater than 30% of 9.3ug/L? Is the folate from food as usable as methylfolate or does the mutation mean that only a certain percentage of it can be used? Your serum folate is not solely made up of methylfolate. The most accurate way of testing is to stop taking any supplements for at least 3 days and test in the morning before breakfast. Your usable folate could be as low as 30% in the worse case scenario, so we should plan for that scenario. The ideal levels for you are: folate 35 and B12 800. You should continue supplementing until you reach that level. 1,000mcg to 2,000mcg of methylfolate would be ideal. Folate from food still needs to be transformed into methylfolate as well, however unmetabolized folate from food is not harmful. I have been struggling to find understanding regarding my son’s last blood test, especially his folic acid results. I am trying to find out what the normal range should be for your RBC folate. Also, since his last blood test his folic acid has increased even though he is on a methylation supplement. Both his MTHFR C667T and A1298C was homozygous, with more impact on the C667T, his MTRR was also homozygous. Because of this he was put on a supplement to help with his methylation and homocysteine over a year ago, but after the last blood test his B12 dropped but his RBC folate increased very much (first test: B12 was 1164pmol/l and B9 was 1305nmol/l; last test: B12 was 898pmol/l and B9 was 2859nmol/l). The most folic acid is from his multivitamin which is 400mcg (recommended for children over age 4) and the methylate folate of 800mcg from his supplement. The only other folic acid he does get is from bread, he does not eat any leafy greens. What is the normal RBC folate level for a child? Sorry for the delay. Can you please email me his MTHFR results? I am curious to see the results. If in fact he is homozygous for both MTHFR alleles I would be glad to analyze his case and give you the right advise. variants, C677T and A1298C in the MTHFR mutations. So is my folate level normal? I only have d and b1 deficiency although i have MTHFR issue? Please send me your folate levels. Folate is B9 and I don’t see a B9 in your results. Your vitamin D however is extremely low. Functional levels for Vit. D should be at least 60. Hello. I am from Russia. Please help me find the right therapy. I have a heterozygous mutation in the MTHFR (A1298C and C677T) , heterozygous MTR and the homozygous form MTRR. Pleas tell me what drugs and in what dosage I should take? I dont know my homocysteine levels. My folat-15,08nmol/l (7-39,70), my total B12-382,30 Pg/ml (191-663), my activiti B12-69 pmol/l (25-165). I am allergic to glycine, D3. Can I take TMG and which form of D3 should I choose? Can I take methylcobalamin? What dosage? I hope for you help. Many thanks. You likely need some methylfolate. If you are compound heterozygous you could lose up to 60% of your folate metabolization. Your condition seams to be more complex and to make recommendations as to what to take and what dosage I would need to fully evaluate your case. I recommend you call or email my office to schedule a proper consultation. Would value you advice on dosage for methyl folate. Found the following conditions when trying to resolve Chronic Migraine Basilar Artery (inherited) since age 5, now 17. Migraine cases can be quite complex. In order to proper give you the right advise I would have to analyze your case and full lab results in detail. Please contact my office to schedule a proper consultation. I was on vacation, sorry. I am back now. Hi, I am heterozygous C677T and homozygous normal type for A1298C. I have been suffering for three plus years with a toxic reaction to a fluoroquinolone antibiotic (Ciprofloxacin) that has produced a host of symptoms. I am a 52 year old male. As I struggle to recover (I was previously very healthy individual) I have been working to find ways to support my body and discovered my MTHFR status. Below are results for various factors from January 2019. Currently I am supplementing with the Garden of Life B Complex that is a plant based supplement which I take at the following levels for one month. I know the folate in this is not methylated but I have had some issues tolerating methylated folate. I can take calcium folinate the precusor form and have taken the Quicksilver B complex in the past. Would you consider these levels okay other than the slightly high homocysteine? Should I try a methylated from of folate again? Your levels look OK for now. I would stick with your natural form of folate for now but double the dosage of folate. Is there an injectable methylated b12? Husband is double A1298c without gallbladder & has Rx b12 injection monthly. I am positive for 2 copies of C677T homozygous and negative for A1298C. So as I understand my body has reduced processing of folate at 30%. I have been supplementing with methyl B12 and methyl folate and feeling better but started having symptoms again insomnia, fatigue etc. My doctor checked levels and had me stop supplementation due to lab stating B12 high. My results were Homocysteine 11.00 (Normal) Range: 5.0-12.0 mcmol/l, B-12 >2000 (High) Range: 211-911 pg/mL, Folic Acid > 24 (Normal) Range: 1.1ng/mL From reading posts it appears I need to have a lab that truly states the actual number and that if my range of folic acid was 25 I might be utilizing 7.5 which is below the normal range in your post correct? But again amounts are not known as you mention. Could be 25 or 100. Feel bad with no supplementation. Any recommendations besides lab that list true numbers? I’ve read start low with methyl folate supplementation but it could be i’m not getting enough. Thank you so much. I know this is what has been making me feel bad and I know this SNP can be turned off if I give my body what it needs and give the type it can process. You are correct with your interpretation of folate levels. The first step is to find a lab that gives you exact measurements of folate. You also need to look at other factors affecting your health that may require other things different than methylfolate. Following the guidance of an expert is best in this scenario. I am glad I found this site. I just learned I have double A11298C. I think it is why I’ve had three miscarriages and have never been able to have children. I have always been “sickish” dispite normal lab results. I have recently been diagnosed with RA and was going to start methotrexate. Now I’m afraid to start. I have been taking 2.5 gm methylfolate daily but wonder if that is enough? My rhueumatologist knows little about MTHFR genes and just follows the standard protocol recommended by the AMA. My vitamin D levels were on the low side and have gone up to a low normal after taking 5000 iuc daily. I would appreciate any insight regarding how much methylfolate I should be taking, thank you. The amount of folate needed will also depend on your serum folate levels. You lose about 40% of your ability to metabolize folate. Vitamin D levels should be between 60 – 100. Try to bring an MTHFR expert to work with your doctor and get you on the right path. Can you have too high a folate level seeing as how it’s water soluble? I just had lab work done by my primary doctor. She tested my vitamin B12 and folate levels. She wouldn’t test my Homocysteine levels she said this wasn’t a test that is typically performed. Could you please help me in interpreting my test results, obviously my doctor doesn’t know much about MTHFR. I’ve suffered with anxiety and depression my whole life as well as low energy and all over body aches and pains, I’m 33 now. I want to take the steps I need to take to start feeling better. I would really appreciate any input you may have. Thank you! Optimal levels of B12 are 800-1200 and for folate 10-60. Since you may lose up to 70% of your metabolization of folate your serum folate levels could be as low as 30% of what it shows in the blood work, therefore your folate could be as low as 4.23 which is way below the minimum of 10.0. Based solely on this it would be recommended methyl folate and B12. I advise you to get coaching of an MTHFR expert to guide you on this journey. My chiropractor recommended a methylfoate supplement to me. I checked my 23 and Me results a found that I have the C677T mutation. This article references having 1 or 2 of this same mutation. How can I read my 23 and Me results to see if I have 1 or 2? I am getting my blood tested for folate levels and want to be able to calculate how much of my folate I am potentially losing. Thanks! Hi there-I have 1 copy of the C677T and two copies of the A1298C. I have had a host of unexplainable problems since I was very young. To the piont of unfunctional a couple of times since I reached the age of 20. I am almost 33 now. My whole famil,y extended and immediate, seems to have a lot of “issues” including dying at very young ages and lots of cancers! My mom passed away when she was 58, her mom at 60, her dad at 40, her sister barely 50. I have 3 children two of which are girls. I fear for our future and dying so young. I really feel that it is all connected to the MTHFR defect. I would love any advise you can give on your research with this cobination of genes.